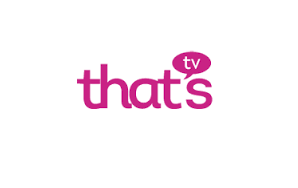 The local TV service for Cambridge has been relaunched as part of the That's TV Group following the cessation of broadcasts from Cambridge TV at the end of November. Cambridge TV launched in August 2015, but was put up for sale earlier this year by its owner Dr Peter Dawes OBE to enable him to enter a Mayoral race. Local media reports indicate the transaction, which sees the station relaunching as "That's Cambridge", was made for "an undisclosed sum". The licence for the station is understood to have been recently transfered to That's TV, although details haven't yet been made public. Cambridge TV ceased broadcasting on the 30th November 2016. That's TV operates a chain of local TV channels, including services for the Solent area, Oxford Manchester, Blackpool & Preston plus additional channels in the pipeline in southern England. That's Cambridge is on Freeview channel 7 and Virgin 159 in the local area. So far in 2016, four local TV stations have been taken over or merged: Bay TV Liverpool was taken over by Made TV. Birmingham's Big Centre merged into Made TV. That's TV is now involved in Cambridge and York local TV services.